Every time I mention to someone how few cards from Alaska I have, more appear in my mailbox. 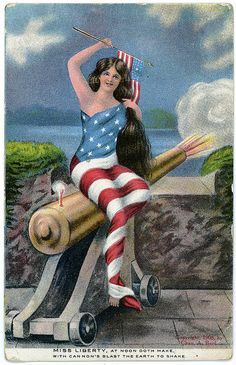 This postcard (along with another Alaska card, as well as a New Jersey card) comes to me from Donna, an Alaska native whom I met on Postcrossing. She was happy to volunteer them. “I have way too many cards,” writes Donna, “and I am trying to downsize.” Isn’t that what descendants are for? It’s all I can do to keep the grandkids from raiding my collection; they can wait for it, just as I did. A tomcod, which I had never heard of, resembles a cod and is related to the cod, but isn’t a cod. There’s an Atlantic species and a Pacific species, and the name supposedly comes from an American Indian language, from a word meaning “plenty fish.” Well, they do look plentiful. I love the posture of the guy in the background. You can just tell he hasn’t gotten a nibble all day. 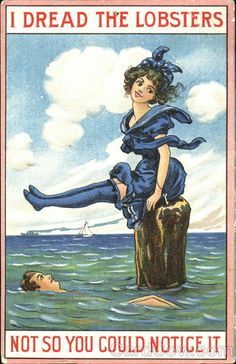 This card was published by Edward H. Mitchell of San Francisco, probably around 1910-1915. Great postcard. It seems as if it should have some jolly seafaring song as a background. Yeah, that’s what descendants are for! That’s how I got my postcards, or 98% of them. But I don’t have descendants so I should make sure to put a relative’s name on the box…..
Tes cartes me rappelle toujours un film : celle là c’est dans “Grumpy old men”. Walter Matthau pêche aussi sur un lac en perçant un trou dans la glace, sauf qu’il est dans une petite cabane. Justement, le type en arrière pourait être Jack Lemmon ? Your cards always recall me a movie picture : “Grumpy old men”. Walter Matthau is fishing on a lake too and making a hole in the ice, exept he is in a small cabin. precisely, the guy in backround could be jack lemmon ?